Want to know about the five best Hindu temples of Punjab? Temples are sacred places to worship for people of all religions. In a country like India where there are followed diverse religious, it is even more sacred to find the temples of a different religion in a state which is dominated by people of another religion. The Indian State of Punjab offers us that amazing amalgamation and that is the reason it has gained respect all over the world. Here are the five best Hindu temples of Punjab. The very beautiful Durgiana temple is a Hindu Lakshmi Narayan temple. The best thing about the temple is that it looks like a Gurudwara or Sikh temple but the presiding deities inside are the Hindu Gods. The temple very much resembles the Golden Temple and also includes a Sarovar like many other Gurudwaras. While so many of us know only about the few handpicked places but the city of Amritsar has so much more to offer to quench your spiritual thirst. Located on the banks of River Ravi, this temple is dedicated to Hindu God Lord Shiva. This temple has a great historical and religious significance as it is believed that the Pandava brothers also stayed here for some time when they were on their final journey to seek salvation. Like many other ancient Hindu temples this temple is also carved out of a rock and is inside a cave. 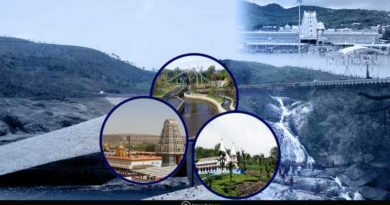 Even though it is popularly known as a Shiva or Mahadev temple but you will also find idols of other Hindu Gods like Lord Vishnu, Lord Brahma, Shiva’s divine consort Mata Parvati, Lord Ganesh and Lord Hanuman inside the temple premises. You can reach this place by boarding a bus or hiring a cab from Pathankot, Punjab. It is situated approximately 11kms away from Amritsar. It received its name from an excerpt of Hindu epic Ramayana that took place here. 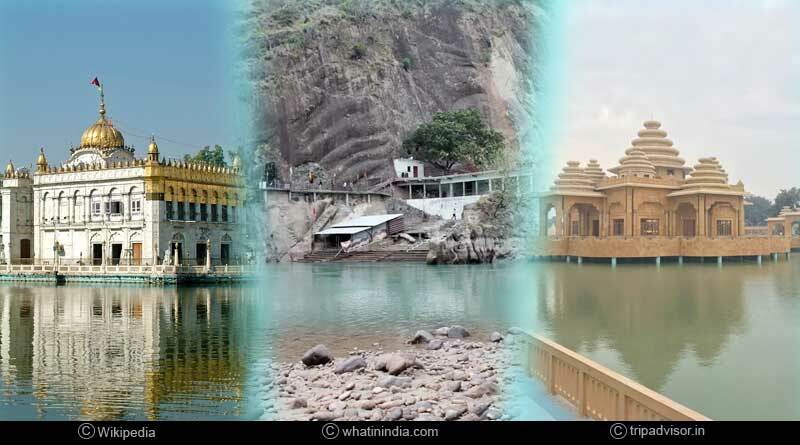 It is also known as the land of Rishi Valmiki as he resided at this place and wrote the epic. After Sita separated from Lord Rama, she lived in this hermitage and raised her twin sons Luv and Kush here. Devotees come to visit this place to witness the remains of that era which prove that Mata Sita lived here. As the name suggests this temple is dedicated to the worship of Maha Kali, one of Mata Parvati’s avatars. It was built by the royal family of Patiala after the King of Patiala brought the idol of Goddess Kali from Bengal to this place. Devotees flock from far and wide to seek blessings from the goddess. Since the temple is dedicated to a Goddess, the nine-day festival of Navaratri is celebrated here with great enthusiasm. This temple is dedicated to Bhagwati Mata and has a legend behind its establishment. Once two followers of Goddess named Kamalu and Kalu Nath was going to visit the Jwala Mukhi temple. On their way, they stopped to light a lamp to offer prayers to the goddess and as soon as they started their prayers, the Goddess appeared in front of them. They thanked the Goddess, in return she asked them to build a temple in their town. Hence came into existence this temple. For more details on five best Hindu temples of Punjab and related updates, like and subscribe to tentaran.com.